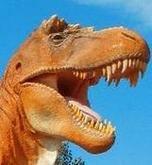 I see the pic in your sig, I see your avatar....why are you not called "Bisex Rex"? I feel you've missed an opportunity there. Could I get mine changed to "EvEv's Bizarre Adventure"?